Le Centre Sheraton Montreal Hotel, Montreal, Canada - Lowest Rate Guaranteed! 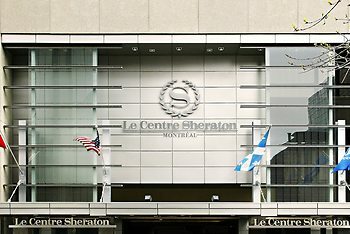 With a stay at Le Centre Sheraton Montreal Hotel, you'll be centrally located in Montreal, within a 10-minute walk of Bell Centre and Eaton Centre. This 4-star hotel is 0.6 mi (0.9 km) from Montreal Museum of Fine Arts and 0.6 mi (1 km) from Christ Church Cathedral. We especially liked that we were able to bring our dog!